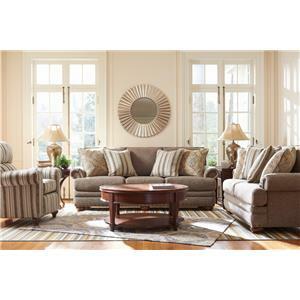 Your living room is your sanctuary, its important that it makes you feel relaxed, happy, and snug as a bug. Choose this ottoman for the perfect blend of incredible comfort and enviable fashion. 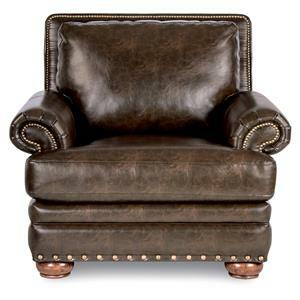 The pristinely tailored chair ottoman features traditional decor features like bun feet and oversized nailhead studs for an unforgettable look. 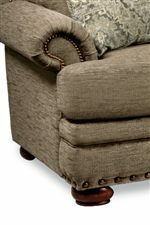 The BRENNAN Traditional Ottoman with Comfort Core Cushion and Oversized Nailheads by La-Z-Boy at VanDrie Home Furnishings in the Cadillac, Traverse City, Big Rapids, Houghton Lake and Northern Michigan area. Product availability may vary. Contact us for the most current availability on this product. 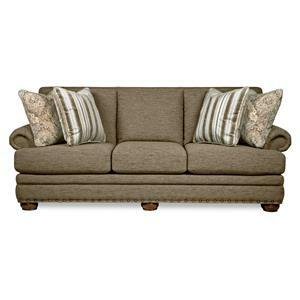 The BRENNAN collection is a great option if you are looking for furniture in the Cadillac, Traverse City, Big Rapids, Houghton Lake and Northern Michigan area. 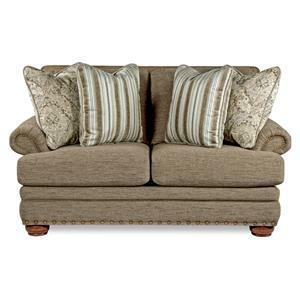 Browse other items in the BRENNAN collection from VanDrie Home Furnishings in the Cadillac, Traverse City, Big Rapids, Houghton Lake and Northern Michigan area.